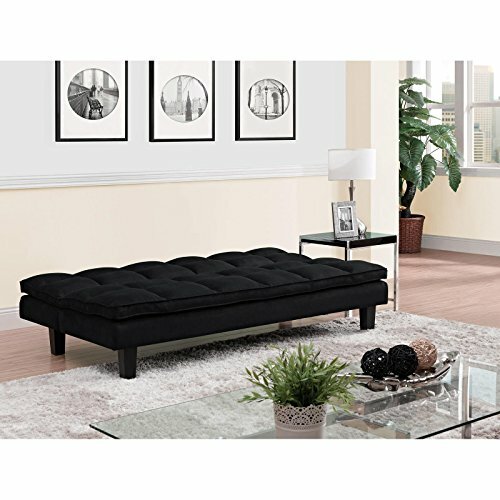 All your expectations about what a futon can be go out the window with the DHP Allegra Pillow-Top Futon, a designer multi-tasker that exists for your comfort. 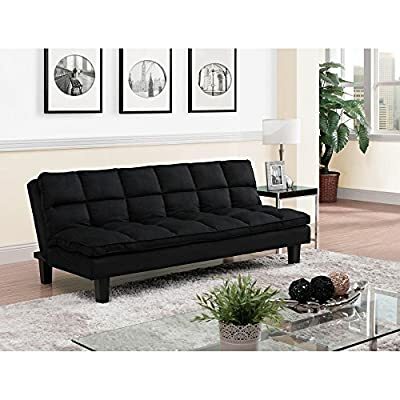 Offered in a stylish black microfiber upholstery, this futon does have a quilted pillow top for amazing comfort for both sofa and bed mode. Clean styling freshens any living room, bedroom, guest room, or office. 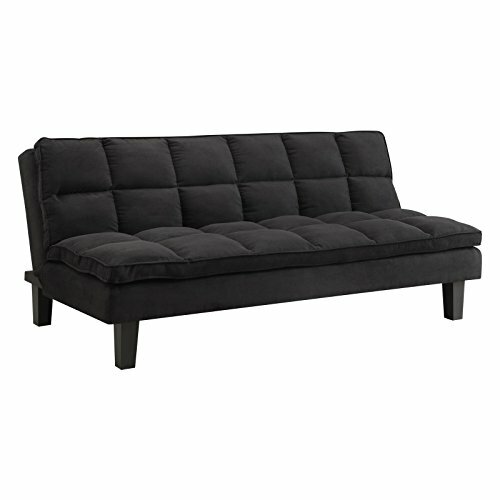 And it’s a cinch to convert this futon from bed to sofa and back again! Multi-position recliner for the perfect lounging angle. Pillow top combines comfort with clean style. Wood frame with tapered legs. Black microfiber upholstery fabric. Ideal for rooms with limited space. Twin sheets fit 7H in. mattress. Dimensions: 71L x 31W x 34.5H in..